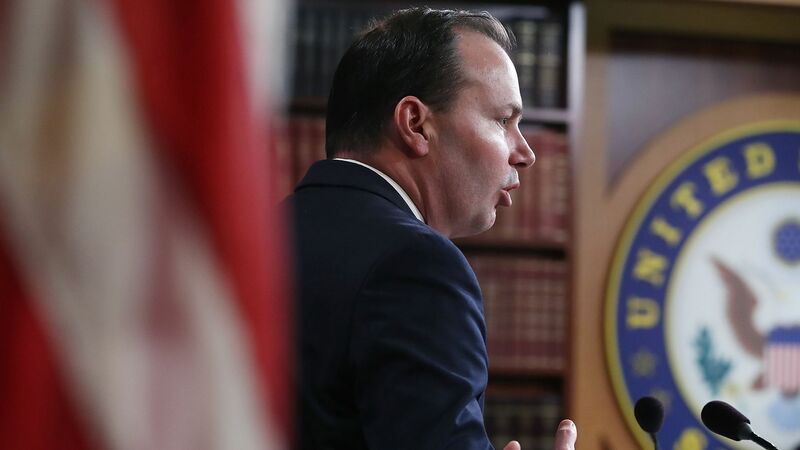 Sen. Mike Lee wants to unite a pair of Senate criminal justice reform bills, taking a prison reform effort, adding reductions of certain mandatory minimum sentences and limiting the ability of prosecutors to “stack” multiple mandatory sentences. Why it matters: Prison reform focused on rehabilitating prisoners through educational programs, vocational training and therapy has gained traction in the House. But Senate Judiciary Chairman Chuck Grassley won't back down on reforming harsh sentencing guidelines, despite Attorney General Jeff Sessions opposition. Lee has supported both Sen. Grassley’s more comprehensive bill and Sen. John Cornyn’s prison reform bill. He hopes that by adding these two sentencing pieces from Grassley’s bill, there will be a better chance of getting Cornyn's through the Senate. Yes, but: One GOP congressional aide told Axios that "adding sentencing reductions to the Cornyn bill would be fatal and guarantee Congress does nothing on criminal justice reform." Prohibit prosecutors from "stacking" multiple mandatory sentences for first-time offenders. Reduce the mandatory penalty for a third conviction of certain drug offenses from life to 25 years, and for a second conviction from 20 to 15 years. These changes would not be retroactive. Why this time is different: "I think there is a good chance of this happening... Increasingly, it seems like everyone knows someone who has been involved in the criminal justice system. As people become more aware of it... I think it makes reform more likely." Lee told Axios he doesn't see "any good reason for [Sessions] to oppose this... This would represent a substantial compromise from where we have been." On the House bill: "If something like this did happen in the House, it might provide momentum in the Senate." On Kushner: "He's been great. He's been a strong advocate. I've appreciated his leadership and his willingness to call out for reform."